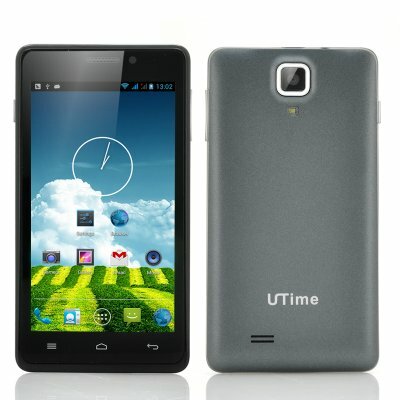 Successfully Added UTime G7 Quad Core Android 4.2 Phone - 3G, MTK6589 1.2GHz CPU, 4.5 Inch 960x540 Screen, 8 Megapixel Rear Camera (Gray) to your Shopping Cart. UTime G7 Quad Core Android 4.2 Phone comes fully packed with the latest specifications as it features 3G connectivity, a MTK6589 1.2GHz CPU, a 4.5 Inch 960x540 Screen and an 8 Megapixel Rear Camera. This excellent smartphone has been designed and manufactured by United Time Technology Co. United Time, also known as UTime, is a powerful Hi-tech communication corporation that is dedicated to R&D, integration and manufacturing. 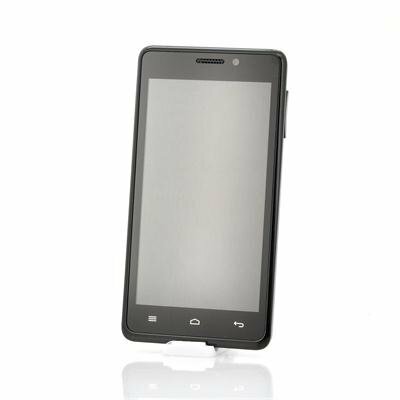 Arriving in gray, this is the UTime G7 Quad Core Android 3G phone, with a conveniently-sized 4.5 inch display that has a resolution of 960x540. With this kind of screen and resolution, this phone can fit comfortably in your hand while you enjoy surfing the web, watching movies and playing games. The UTime G7 phone has an an Android 4.2 operating system, which results in a very user-friendly interface as well as the ability to be extremely compatible with other software, apps and devices. Android operating system provides you an environment to create your own lay-outs, customized set ups and personalize profiles. Designed to deliver a fantastic performance, the UTime G7 3G Android smartphone uses a MTK6589 Quad Core 1.2GHz CPU to give a quick and responsive reaction. Handling the most demanding apps and any multi-tasking operations, the UTime G7 Android phone’s quad core processor will easily cope with the workload. With two cameras you can capture photos or record videos from any angle. The 2 megapixel front camera is ideal for engaging in web chat conversations as well as having an 8 megapixel rear camera for capturing those funny or interesting moments. In stock now, we guarantee that this UTime G7 Android smartphone can be dispatched within one working day with a 12 months warranty. Brought to you by the leader in electronic devices and wholesale Android Phones, Chinavasion.